Experiment example a small light source shows as a bright spot on dvds a larger light source spread the light to cover all areas of the cds. I did not have the perfect lights to show this however by choosing an angle near to the cds with the small light you can see the spot of light reflected I then choose a larger light and held it at the same point above the cds and no longer can you see that light being reflected from one spot it is spread over a much larger area. 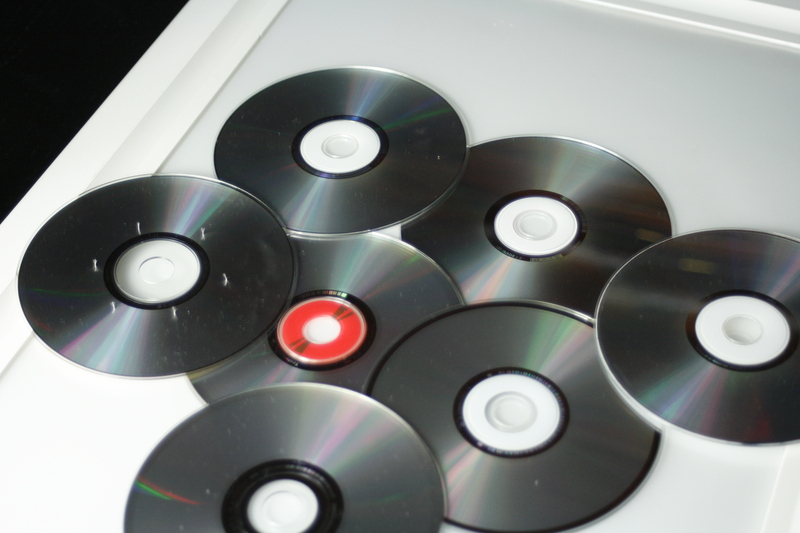 With this experiment it shows that the reflected image of the large light source completely fills the DVDS in other words it fills the family of angles that cause direct reflection. When talking about the family of angles we talk about direct reflection . In diffuse reflection for example the light can come at any angle and so is not affected by this topic. The family of angles determines where we should put our lights in photography. In the case of direct reflection on a shiny surface as seen with the CDS the light is directly reflected so any light placed within the family of angles reflects as bright back however if placed outside the family of angles it cannot be seen. In the next two images I have taken one with the light within the family of angles and the other outside it. As we often want to see the reflection of a mirror or shiny subject the important thing is to have a light source that is large enough to fill the family of angles. If with a subject we do not want to see reflected light the camera and the light must be placed in such a way so as to avoid the direct reflection. This is so similar to direct reflection that many photographers treat it the same however it can have its uses. Like the direct reflection it can be seen at a mirror angle to your camera. Unlike direct reflection a perfectly polarised reflection is only half as bright as polarisation inevitably involves absorption. In this case a polarised object using a polarizer on a lens can reflect little or no light/glare back and the camera cannot see it. It is the case that the subject being photographed is also polarized and therefore will absorb light . How can we tell if it a reflection is direct or polarised. Polarised light will be dimmer but this alone cannot tell us. Also both polarised and diffused light can be reflect and diffuse reflection. A few guidelines in telling the difference. 1. If the surface is made of a material that conduct such as metal its reflection is likely to be unpolarised. 2. If the surface looks like a mirror for example bright metal the reflection is likely to be simple direct reflection and not glare. 3. If the surface does not have a mirror like reflection for example polished wood or leather, the light is more likely to be polarised if the camera is seeing it at a 40 or 50 degree angle.The exact angle depends on the material. At other angles the light tends to be unpolarised direct reflection. 4. The conclusive test however is to put a on the camera if it eliminates the reflection then that reflection polarised. If we want polarised reflection increased we can do this by turning the polariser by 90 degrees. note also polariser always blocks some unpolarised light by doing this it becomes a neutral density filter that affects everything except direct reflection thus when we increase the exposure to compensate for the neutral density the direct reflection increases even more. If the reflection is not glare the polariser will have no effect except to add neutral density. Note the sky can also be a perfect polariser by putting the subject at an angle that reflects the most polarised part of the sky can make effective the lens polarising filter. ???????????? how do I know which part of the sky is the most polarised. So I have tried to do the experiment to show polarized light using a glossy piece of black plastic a black item and a white item. I have tried with a white light in a dark room so there was no polarised sunlight. I cannot see the difference. Help if any one can. Here is what I have. So I am still trying to understand the above and why it did not work. Here is some more information. I was using daylight from the Sky so this could be polarised. I have tried with an white studio light. No improvements. What about the angle so I have tried a direct opposite angle and a 90 degree angle with my camera from the light. same as previous with polariser no change. Finally I managed to see the difference with a polariser. Its not exactly as comprehensive a picture as in the book however. With the camera facing the light source which is a bed side lamp with a 5500 K bulb. Both the light and the camer are at a 50 degree angle approx. I added the polariser and saw no difference until I turned it 90 degrees and finally I could see the small battery loose some of the reflection. I feel in order to do this experiment more effectively I would need a larger light source however I have learned the purpose of the polariser and the direction of Direct polarised light. It took me all day but I am satisfied now on to the next experiment. Science Experiments from Light Science and Magic. Currently I am trying to work my way through the book light science and magic. This is not a review it is merely a summary taking exerts that I am trying to remember or paraphrasing the book. It is meant for myself as a learning process. I have also uploaded my attempts at the experiments in the book not always successful however see experiments light for these. I do have to say that I feel like with this book and the photographers mind its like the secrets of photography are being revealed. I feel like a child who discovered how to do a magic trick. Light Science and Magic my notes. A book by Fil Hunter Steven Biver and Paul Fuqua Light measured in Hertz. Visible light is only a small range of Hertz. For example ultraviolet and infrared are not within the range we can see. Red light has less energy than blue. Blue is warmer than red in light. Light can travel through glass with no medium to carry it. A brighter light is almost always better light for photography. A dimmer light is preferred usually only if it improves other characteristics such as color or contrast. We can use any colour in photography to improve the image however most pictures are made using white light which is a combination of the primary colours of light red blue and green in varying ratios. High colour temperature is what artists call cool. For example 10,000K is Blue 2000K is red to yellow light. There are three standard light colour temperatures in photography. White is 5500K and is called daylight. Two tungsten colour temperatures are standard 3200K and 3400K these two tungsten colours are similar enough that their difference is not always relevant in an image. A high contrast light source creates sharp shadow edges. Usually produced by small light sources. A low contrast light source creates soft shadow edges usually produced by large light sources. A small light source is always a hard light source. Most large light sources are a soft light source. N.B contrast of a photography. Contrast is not only determined by light. It is determined by subject matter, composition , exposure and development. Increased exposure will increase contrast in a dark scene. Whereas decreasing exposure may increased contrast in a light grey scene. Shadow is the part of the scene that the light does not strike. Highlight is the illuminated part of the scene. Two different subject for example a pepper and a bottle with produce very different highlights while using the same light source. This is due to the objects themselves. Light travels through air and glass and is invisible as long as it strikes perpendicular to the image, if not refraction occurs. Air refracts very little however glass does refract. ( see book martini glass through glass bottle refraction causes the martini glass edge to appear uneven. This is called direct transmission when light passes through materials in a predictable way. Materials that produce diffuse transmission are called translucent (not transparent) Materials such as white glass and thin paper scatter light rays in random directions. This is called diffuse transmission. Example covering a small light with a large translucent material is one way to increase its size and therefore soften the light. This is because they cause absorption and reflection of light. Absorbtion. Absorbed light vanishes and is emited in a different form for example heat. Black velvet or fur are among the most highly absorbant materials and also the most difficult to photograph. This selective absorbtion is one of the factors determining the colour of a subject. Reflection is the bouncing of light of a subject which is what allows us every day to see objects. Management of reflection and the family of angles. So far we have seen the three most important qualities of any light source are its brightness, colour and contrast. We also know that the subject has a major influence on lighting. A subject can transmit absorb or reflect the light that strikes it. Highly transparent materials can have a minimal effect on light as they can be invisible. Highly absorbant items may also be invisible as they convert the light into other forms of energy such as heat which we cannot see. Therefore photographic lighting is mostly about reflection. We need to understand and manage reflection. Light can reflect from a subject in three ways as diffuse reflection, as direct reflection and as glare. Diffuse reflection – light reflected equally in all directions. If you were to point different cameras at varying angles the results would look the same. 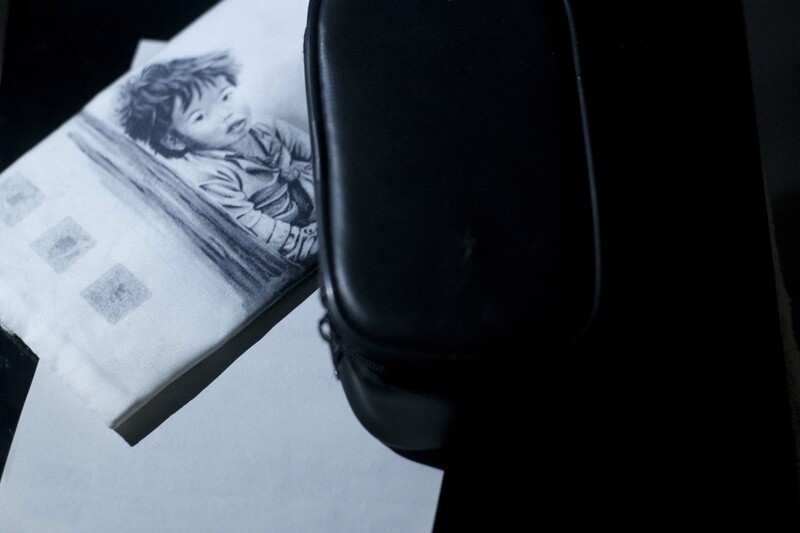 Nothing produces light in a perfect diffuse manner however white paper comes close. All white items produce a great quantity of diffuse light.Photographers diffuse light either by reflecting it off an umbrella or by covering it with a translucent material.A light can be diffuse or not and still be reflected as diffuse light. Diffuse reflected light is caused by the subject not the light. The light can only diffuse the light it sends to the subject not what the subject diffuses bk.Neither the size of the light nor the angle affect the appearance of a diffuse reflection. However the distance from the light to the source does matter. The Closer the light becomes the lighter the subject appears in the finished picture. Direct reflection or specular reflection. Direct reflections are a mirror image of the light source that produces them. The inverse square law says that intensity is inversely proportional to the square of the distance. A light will have 9 times the intensity of a light 3 times as far away from the subject. In effect this means that reflection from a surface is brighter if we move the light closer and dimmer if we move it nearer. However not that some items do not produce brighter reflections as the light moves closer to them. To demonstrate this instead of using the white paper used to show reflection use a mirror. This highly polished surface reflect light back at an angle depending on the angle it hit the subject with. Allowing the light to be seen from only this angle by the camera all other angles remain obscure the mirror will appear black. The camera that would be directly in line with the light source sees a light as bright as the source itself. The angle from the camera to the mirror should be exactly the same as the angle from the light source to the mirror. Again no real surface produces perfect reflection however polished metal, water and glass nearly do so.If the light is this bright how can we use it in photography. The brightness of the light is the same from any distance however the size of the lamp influences the area over which the light is spread. All surfaces produce diffuse, direct and polarised reflection in varying degrees. We see all of these however we are not always conscious of them. the physiological image may not always correspond with the photochemical one the eye actually sees. Photographic lighting deals mainly with extremes highlights and shadows. If we are happy with these then we are most likely happy with the image. Highlight alone can show us what the surface is like. One of the first steps is to decide what type of reflection causes the subject to appear the way it does. We then decide what kind of reflection we want viewers to see. Then engineer the shot to ensure that see only the type of reflection that we want. Following the Diagram in the book I have taken two images one with the the light inside the family of angles which is image 1. and you can see the direct reflection. The other outside the family of angles which has allowed only diffuse reflection and we can see the book much better. I also note that whatever you photograph should be perfectly flat as I was using a book I had to ensure this or the reflections became much more complicated. Placing the light inside the family of angles caused direct reflection which we did not desire for this image. It is also mentioned that if you were in a museum or gallery and you cannot take the picture down. You may be very near the picture and a wide angle lense may be required which would reduce your workable angles in order to place the lights. If not move to a longer lens and this allows you to place the light further away. See diagrams the general rule of a 45 degree angle depends on how far away the light is as 45 degrees could place it inside or outside the family of angles. Up until now weve talked about the angle of light so how about the distance. We already know that diffuse reflection gets brighter as the light gets closer to the reflected surface. For example using a wide angle lens positioning the light too close to the subject can avoid direct light however the diffuse light is uneven. I noticed this is the above experiment even with my 50mm and had to move the light to a certain distance. As it was easy to see that the light was not even. Another solution would be to place a second light on the other side of the subject. This is why most copy settings do use two lights. Note that if the light is too far away we cannot use long exposures. Next problem we are in a gallery and very restricted by space. We cannot move the camera further away from the subject and use a longer lens or the light far enough away due to space restriction. Enter our previous experiment polariser. We know that a polariser can remove direct reflection. 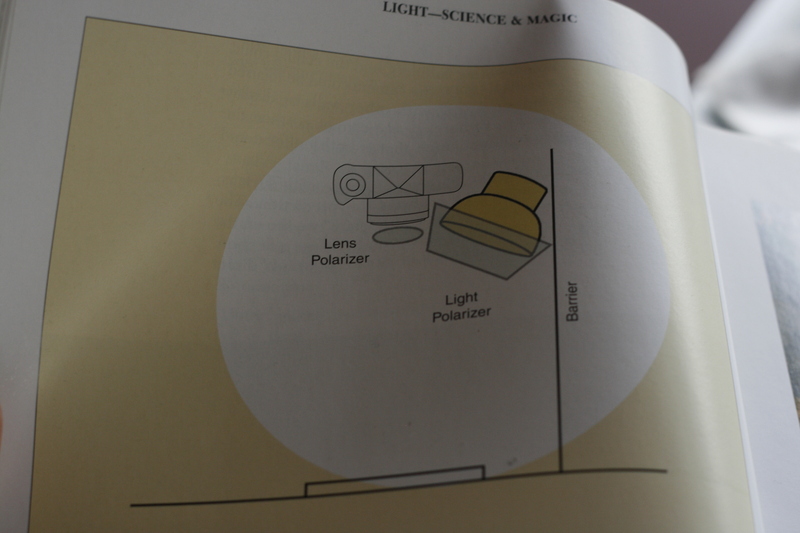 Remember if we place a polariser over our light source the direct reflection will be polarised. By placing a polariser over our camera at an angle of 90 degrees we remove the glare or direct polarised reflection. In reality it is unlikely that this situation will arise it is rare. However in the case it does not also that due to the neutral density of the polariser should cost you two stops in exposure however as polarisers are not perfect it could lead to 4-6 stops in exposure. If we were using this situation in non copy situations the situation becomes worse as we are likely to lose additional light through diffusion materials. Also note that light is absorbed and converted to heat. Be careful when using large studio lights to switch them off when not in use. Note they will also affect the colour balance adjust this or with the camera or process a colour test and adjust the colour compensation filtration before exposing the final film. Using diffuse reflection and shadow to reveal texture. 1st example was using a glove of a light colour so that we know it will be mostly diffuse reflection we know that light reflect back with diffuse reflection as bright as it was shone on the subject. So the solution would be to skim the light across the subject at an extreme angle which will give each particle an illuminated side and a shadow side as with the previous example this could create uneven light and so move the light further away in this case. I have decided to test this out myself. Image one you can see the tripod set up. 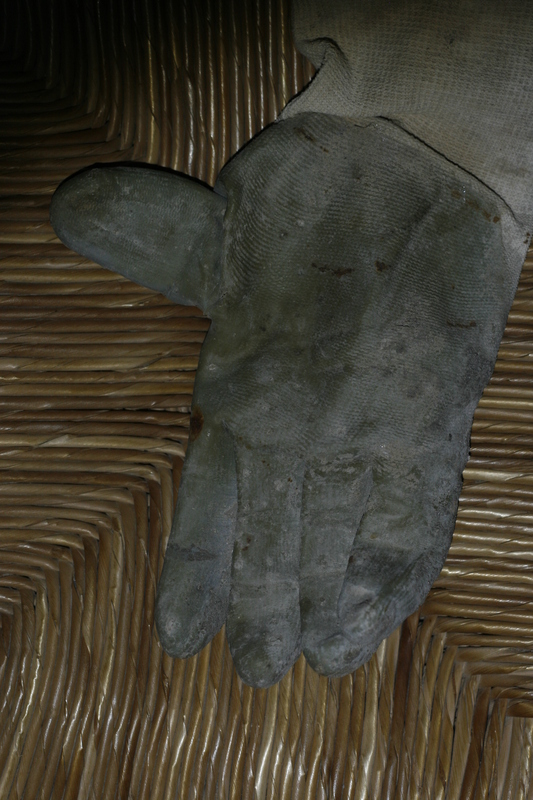 The glove is sitting on a chair so there is a good distance from the glove to the camera. 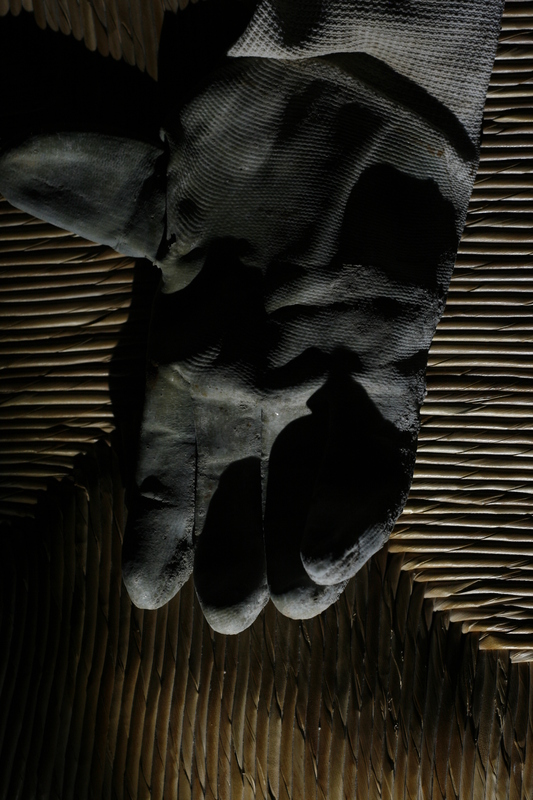 The light I held first beside the camera and second by the chair to the side of the glove. I can see the more three dimensional effect with the second image. This image could perhaps be improved by using a smaller light source . Next step using the same light technique on a smooth black surface. By shining the light to the side of a black leather notebook does not achieve the same result. The same shadow exists on the side of each particle of the leather notebook however we cannot see it. Being black it would produce very little diffuse light. Increasing exposure could help this but is rarely an option because important light toned areas also exist in most scenes. So if we cannot get diffuse reflection then we must aim for direct reflection Using a large enough diffuse light much higher up and not so much across the subject as we know a large light allows direct reflection to cover all of the family of angles. So without increasing exposure we are able to see the lovely texture however the tonal scale has changed the black leather now appears middle gray. Obviously not all scenarios will be this simple to deal with. You may need to photograph a scene with many different light reflections however the theories are still the same. So you can decide to use multiple lights or if you focus on one important part of a scene and that small lighting defects in other areas would not be so important. Or you can take several images and merge them later this will be up to you depending on the scene and what you require. Presented with a situation where we have two types of surfaces as in the book with a cd and a label. 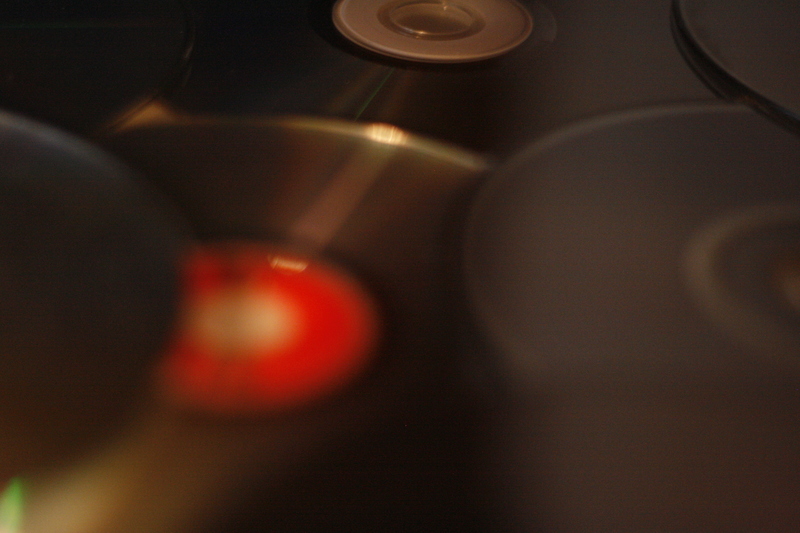 The diffuse light used for the label does not allow the cd to be seen properly. 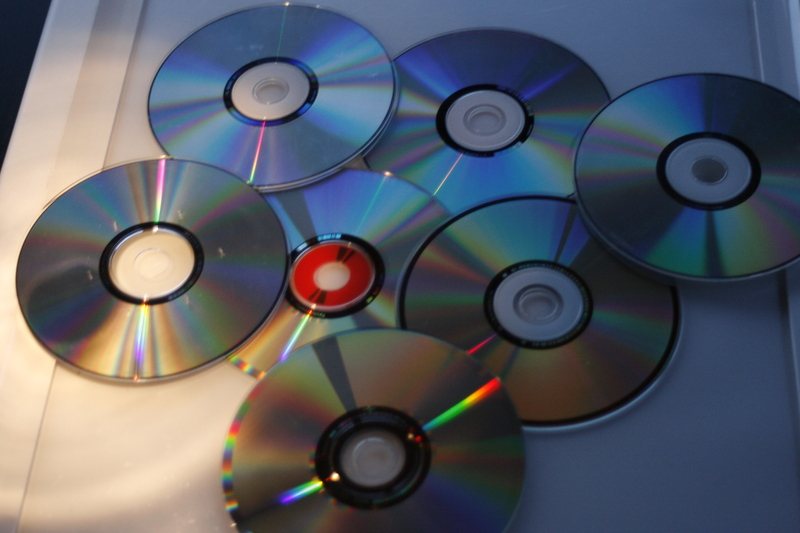 The direct light for the CD does not allow the label to be read properly. Possible solutions suggested in book. Polarizing Filter, In some cases the direct reflection we do not want may turn out to be diffuse direct reflection and can be removed with a polariser. In which case by using the polarizing filter on the lens we can resolve the problem however it is unlikely to be this easy. Most likely the direct reflection will be polarised on both sides or neither. So solution 2 Use a still larger light. The light rays from a large light source hit from enough angles to illuminate however they also hit angles that can only produce diffuse light therefore it may be enough to light also the label. If this is not adequate try solution 3 Use more than one light a large light in order to cover all angles for the direct reflection and a smaller light to add diffuse reflection without interfering with the larger light. This is most likely to work on larger subjects. A light that interferes with the main light source and the camera is called a gobo. See Diagram pg 78 using a small gobo nearer the subject will most likely not affect the Direct light however it may cast a shadow. Complex surfaces. A complex surface is a single surface that requires both diffuse and direct reflection. 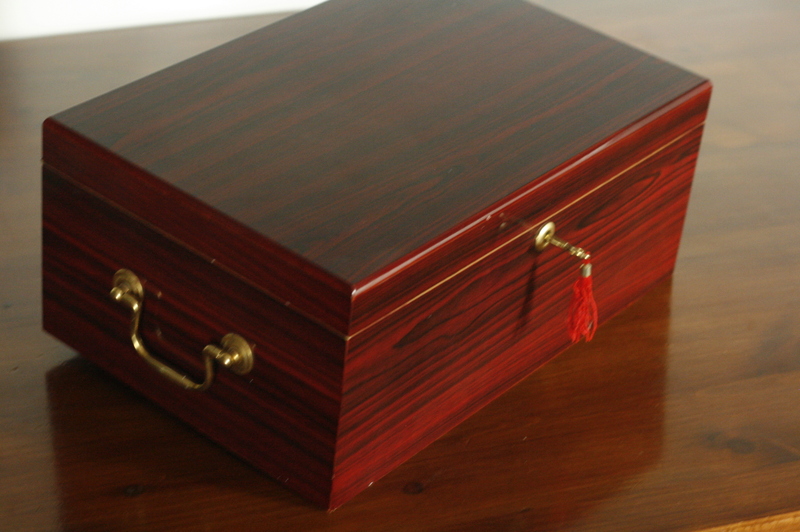 Example given glossy wood. Direct reflection will tell us that the wood is glossy however diffuse light is necessary to reveal the colour and grain of the wood. Ok so I just happen to have a wooden box similar to the one in the book at home and so I tought to try this. I found several difficulties. One I could get an image of a glossy surface and an image to show the grain with the same light by changing my angle. I also noted that within the reflection I could see my furniture around as I do not have enough space around to avoid this. however within the reflective area I noted from my cupboards which are a dark green I could see them reflected directly however from my door to exit the Kitchen which is dark wood when this reflected on the box I could see the grain and detail of the wood. Therefore I can only assume that the light I had was quite large and was bouncing off the walls and creating indirect direct light or indirect diffuse light. Questions how big is a medium light. Also in the diagram of the book the camera is perpendicular to the light and the diffuse material I found a better result if I was nearer the light can anyone explain this. Next when I put the diffusive material which is photographic cloth that I have so should diffuse correctly I did not see any major changes perhaps I needed to be at an exact angle. I did see that a gobo could help me to achieve nearer to my goal however without teh diffusion material. Also next question why if I put diffusive material in front of the light does that not make all of the light diffusive. How is it that I should still get direct light. If I could answer these questions perhaps I could be nearer to an answer. However mission failed I would say. I did achieve the image but not by following the procedure by a random fluke so I am now more confused than ever can anyone help. So I have tried this again with smaller lights two of them one placed near the camera slightly at an angle and the other light off to the other side of the camera and far enough away not to create direct reflection. The larger light has a diffusion material in front of it and i have used a black surface and a black reflecter in front of my white wall to prevent light bouncing off here onto my subject. I have put an object underneath the box to give the lid a slight angle and I have put the light at a low level and direction towards the subject to as to create fill. The camera I have placed in front of the subject and a slight angle looking down. It is not perfect as my room is too small and I feel the light I am using should be further away to have no reflection however in order to have one side dark the top showing the tiny material etc to show depth I believe I got the shot. 3 dimensional. Perspective created by distortion and by tonal variations. Both of these influence light. If we move the camera to change the viewpoint in order to control perspective distortion that can also alter the family of angles. Subjects appear smaller when further away however also the closer part of the same subject appears larger than the part further away this is called perspective distortion. The closer the camera to a subject the more distorted it seems. Example chess board. Where the lines seem to want to converge however if we move the camera farther away we can seem to keep the board lines straight. Wide Angle lenses are not the cause of the distortion however it is the distance from the subject which is decided by its focal length. If we use a short focal length and we can fit the baord on the sensor we do not later have to enlarge it. However if we use a wide angle and stay far enough away we avoid distortion and just have to enlarge that part of the image later. The second clue to tonal variation in a cube is we see a light side a dark side and a a side that is partly shadowed. Good lighting does not always require this ideal however this is the standard we use to evaluate whatever lighting exists. Highlights and shadows are determined by the size and position of the light used. Selecting the size of the light is one of the most important steps in studio lighting. Time of day and weather determine the size of the light outdoors. Previously we saw how adjusting the light size can cause the shadows to be harder or lighter. (hard shadows caused by small lights and soft shadows caused by larger lights) If the two shadows record the same grey a hard shadow will be more visible than a soft one for this reason a hard shadow often increases the illusion of depth more than a soft one. Summary small light hard shadow increases the illusion of depth. This way we can control the sense of depth in our images. A shadow however that is too hard can compete with the primary subject. Large Light versus small light. As it is difficult to carry around lights large enough usually we use a smaller one and enlarge it by using diffusion. Diffusion material, bounce cards, umbrellas all increase the size of the light. Because all of these produce identical results we use whichever is convenient. For a small subject we may use a framed sheet of diffusion material however for a large item we will probably bounce the light off a white wall and let it reflect back onto the subject. You could wait for a day outside with the right amount of cloud cover. Then the large open sky is the primary light. Although without compensation the subject lit by only the open sky can be quite blue. Remember the sun is a small light source because it is so far away and so produces hard shadows. However with clouds the sky becomes a larger light source. The closer the light is to a subject the softer the shadows are the farther the light is from a subject the harder the shadows are. Hard shadows small and far away light i.e. Sun on sunny day. Note some photographers will say that strobes in a room the farther away from the subject the softens the shadows rather than making them harder. This is due to light bouncing off the walls in a small room. Direction The direction of the light will determine where the shadows fall. Front lighting comes from the direction of the camera and lights up the front of the subject. In this case the shadow cannot be seen as it falls behind the subject. Therefore no tonal differences and often can create a flat image. This can work on some subjects for example portraits as it minimizes texture in the skin. Backlighting also fails to reveal the depth of an object coming from behind the subject puts the visible part of the subject in shadow. This can add drama but without other lights will not add dimension. Because depth requires both highlight and shadow. Most good lighting includes at least to some extent side lighting. Still life photographers often use top lighting or side lighting this is a matter of taste. Top lighting in a similar fashion to side lighting adds highlight and shadow. Toplight may hide too much of the subject in shadow and so photographers may pull the light somewhere between highlight and shadow called three quarter lighting. This determines only where the shadow falls. Project photographing a dried gourd. Step one if we put a small high contrast light to the side we would see the dimensions and a hard shadow. However the hard shadow may distract us from the subject. So we could use a larger lighter and get a softer shadow however this could still distract us from the primary subject. If we wanted shadow s part of the image that would be fine but for now we do not. The shadow also tells the viewer that the subject is sitting on a table. So we do not want it to the side how do we move it. We move the light to above and slightly behind the subject so that the shadow falls underneath and slightly forward however the shadow is still too distracting and we have lost dimension. Now to soften this shadow we substitute the small hard light for a soft box. The light box is angled slightly towards the camera. The tilt keeps the seamless background evenly illuminated as if we kept it straight the light would be closer to the top part of the background and this would light the top part too bright. The other reason for tilting is if we want to cast light on reflector cards we might decide to use for fill light. Note a single large overhead light can fail subjects particularly if they are tall and thin or have vertical sides. The tonal variation can be too extreme and compared to the top of the subject the front and side can be too dark. Particularly if the detail in front is important and whats on top is not. So we sue fill light. We could place another light however this could create competing shadows. We need to use a small dim light so that the additional shadows will be too soft to compete with the subject. A rule of using a fill light about half the size of the fill light. Sometimes a simple reflector card provides enough fill. The amount of fill affects the brightness and the amount of ground shadow lost. Our choice of fill card will depend on the subject. Using a fill on a grey background we may not need any fill to the other side of the subject. If the fill was reflected off a white background on which the subject sits it may have been too much. In this case we could also put a black card to one side to ensure both sides do not get equal fill. A black background could reflect not enough fill at all. The most fill we are likely to need is a light behind a large sheet of diffusion material on one side of the subject plus a smaller silver card or a white one on the other side. Silver card/ White Card Also A silver card can reflect more light than a white one(not always) however we may not always be able to use it as for it to be useful it could need to be too near the subject we are photographing that we can see it in the image and therefore we would change to white. This is because the silver card has a much more limited family of angles than the white one. Notice the size of the main light also influences our choice of reflector cards. A smooth sliver card can produce a direct mirror image of the main light so if the main light is large than a large card will serve as a soft fill. A small silver card will behave as a hard fill. If the main light is small however a silver card reflecting that light will always be a hard fill regardless of its size. A white reflector card is the only reflector that can provide soft light from a small main light. Finally even though the background often provides adequate background be careful as coloured backgrounds can reflect onto the subject especially if the subject is white or pastel. Sometimes we need a white fill to cover the colour cast by a colour background or to cover part of the background surface with black cards to get rid of off color reflected fill. Adding Depth to the background. Curved background adds the illusion that the space behind the subject is infinite and that the entire surface is horizontal. So far we have used single tone background this can be boring and does not capitalise well on the illusion of infinite depth in the image. We can greatly enhance this by lighting the background unevenly we call this uneven illumination fall off. Often this will be at the top of the image. It looks good there and is also the easiest to do without interfering with the main light of the subject. In order to do this aim the main light more towards the camera. We also added a gobo to avoid camera flare. Use opaque cards as gobos to prevent glare. If the light is hard it is easier to place the Gobo so that its shadow just barely covers the lens however if the light is soft it can be difficult to place the card near enough to the field of view for it to be useful without blocking part of the scene. So remember if you look into a lens you can see your reflection so if you move the gobo just enough in front of the lens that you can not see the light reflection then pull it back a tiny bit. A gobo in that position removes almost all the glare without entering into the scene. We have said before that a box with three visible sides need to have a highlight side a shadow side and a side whose tone is between those two. We have not said how bright the highlight should be or how dark the shadow. We never will as this depends on personal taste and the subject. If the subject is a simple cube with no important details than the highlight can be white and the shadow black. However is the subject is the package for a product we want to sell there may be important detail on all sides this requires keeping the shadow only slightly darker and the highlight only slightly lighter. Shooting a building with red brick. So we know the sun is a small hard light and we want to avoid it creating too much hard light highlight and shadow as this would make us lose some of the detail, however an overcast sky and a soft light could create a flat image. We need to avoid shadows from the hard light as this would distract from the architecture. Ideally we want the sun behind us to light up the front of the building and slightly to the side and low of the building we are photographing this not only avoids shadow however it means shooting either in early morning or late afternoon which we know produces warm pleasing colours. We know that less tonal detail makes us loose the sense of depth in the image so in order to compensate we will use a lens with a small focal length and stay close this will increase perspective proportion and regain some depth for the image. Photographing Cylinders and increasing tonal variation. Cylinders need a brighter highlighted side or a darker shadow side than boxes in order to show its shape. Try using a reflector on one side and none or a black reflector on the other. Best to put light to the side of a cylinder if we were to put it at the top and at an angle we would get a shadow underneath and we need a dark side to the side in order to show the true shape. Back to shooting our shiny box. 3d. We do not want too much direct light and in which case would have to avoid the family of angles which cause this. Using a dark background will prevent too much light reflecting directly onto the box. This will not always work so we will remove the light causing direct reflection on the top of the box. For the family of angles associated with the sides we will follow a different procedure. If the camera is high, for the top move the light towards the camera this will remove the direct glare and show the details of the top of the box . If we were to move the camera up or down we could get reflections from different parts of our studio however if there is no light available to reflect of our walls etc then this is not an issue and we can place our camera and light in the studio for what works for us. Use falloff. If it is not possible to use a dark background at least use fall off to darken the part of the background that is causing the direct reflection. Using a black card to fill in the family of angles causing direct reflection on the side of the box. You could also hide a small item to slightly tilt the box which would be undetectable once the camera angle is adjusted to the box looks straight on the table. Use a longer lens this can also minimise the family of angles. Lets not forget use a polariser to remove direct reflection. If all else fails we can use a dulling spray however be aware that this can also hide the detail that you are tryng to show. Metal Metals produce almost nothing but unpolarised direct reflection this can make them easy to photograph. It is also largely uncontaminated by other indirect reflections. So by learning metal we are learning to photograph direct reflection. Use a test light /torch at the point where your camera will be. Aim the test light at the point on the metal surface which is nearest to the camera. Use also a test surface(white Card) any point where the light bounces off the test surface gives you the near limit of the family of angles. Mark these spots with tape. If in this position you illuminate all the metal then leave the light there if you do not then aim the light at the furthest point of the metal and mark this family of angles at its extremities on the test card. If the metal object is shapes you can mark several points. You will not need to do this every time however you will remember this for future projects. NB the point reflecting the metal at the bottom of the image corresponds to the mark at the top of the test surface and vice versa this will help you to find any source of glare on any subject from now on. So now we have the family of angles the next decision is if we want the metal to appear bright or dark in the picture. This is a critical decision as it leads to two exactly opposing light setups. If we keep the metal black (high Key scene) Metal bright almost white (low Key) while keeping the rest of the scene dark. Firstly in order to have the metal bright we need a light source that fills the family of angles that produce direct reflection. Note that because polished metal produces no diffuse reflection light coming from any other angle will have no effect on the metal regardless of how bright or how long the exposure. It is important to realise that the light which just fills the family of angles is the minimum light we can use. (later discover why to use a light larger than the minimum) Set up a light on a boom through a diffusion sheet so that the beam fills approximately the family of angles marked earlier. Or use the beam off a reflector card that fills the family of angles. third option to cover with black cards the light from the soft box which we do not require. With the metal on a piece of paper and exposed correctly as per light reading plus open 2 to three stops. You will note the background it black. How to keep metal dark in the scene. The family of angles we determined earlier allow us to show the metal bright. we must now place our light outside of this family of angles for direct light. By doing so we are placing the light in a way that it can only show diffuse reflection and so as metal reflects almost no diffuse reflection it is almost black. The paper can produce diffuse reflection from a light from any direction and so it is rendered white. I have tried to do the above experiment again it is difficult. In the end I have opted for a rather large light which fills all the angles necessary for direct light. I had started with a small light however it limited too much my family of angles and made it difficult to get close enough. I also started with a fork which had a rather founded dimension and this also proved difficult. I then chose a flat piece of metal however it was not so shiny but I managed to get some results. I have first succeeded better by holding up the piece of metal at 90 degrees to the light source ie outside of the family of angles against my white wall I have a black piece of metal against a white background. I have then put the metal in front of the light at a 40 degree angle facing down and the camera by the light and the result is a white piece of metal and my wall seems grey. I have used a large light and my positions were extremes. I will need to practice in different situations to fine tune how to use this normally. The elegant compromise we will rarely want our metal black or white in extremes we will want a combination or compromise of the two. Use a fill light to brighten the background. Pass the Direct light through the diffusion material. We can use a gobo also to block part of the light within the family of angles to reduce the light falling on the metal. Note also that having the surface of the soft box within the family of angles makes the metal brighter however if the soft box is large enough to have very little of its surface in the family of angles then the background will be brighter. (this explains my experiment better as I used a large light outside mostly of the family of angles to improve the background when holding up the metal) The distance of the light box does not affect metal only the background the nearer it is the brighter the background. Using a larger lens will also affect the light. The further away the camera the brighter the background. Recommendations if the metal is parallel to the camera back then we will not see distortion if the camera is parallel and off to one side this shifts the family of angles to the other side. As we have seen before by keeping the light near the camera we are usually outside of the family of angles. For larger objects particularly or when necessary there is also digital retouching whether it be to correct reflections or distortion due to the camera being at an angle allow space for cropping and there will always be a slight loss of quality. Lighting a metal box. Metal reflects direct light with a box we will need to consider how to light the front and top of the box. Take into consideration what we already saw in photographing a glossy box. A glossy non metallic box produces both diffuse and direct light. We often avoid the direct reflection on a glossy box to avoid obscuring the diffuse reflection. With a metallic box there is only direct light. The easiest way would be a grey background however this may not always work aesthetically for what we want. The background needs to fill the family of angles reflected by the metal not just the area the camera sees. Then we lit the top of the metal box with a soft box as if it were any other piece of flat metal. 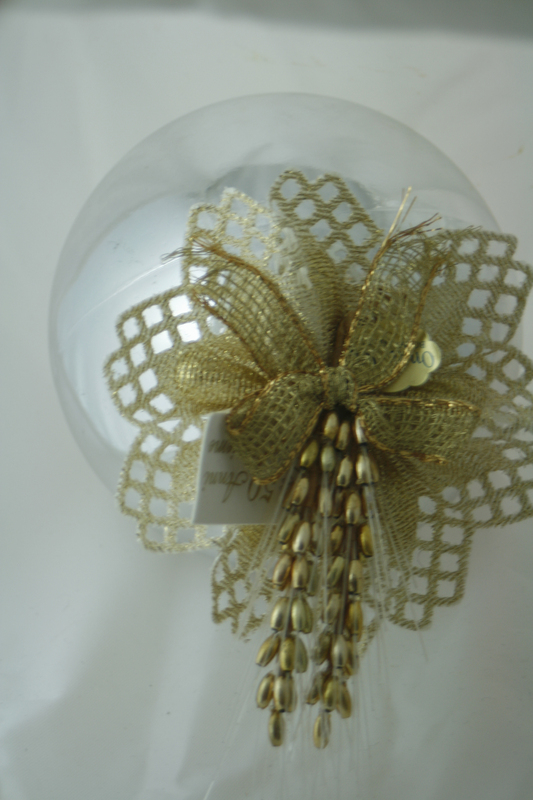 Then using silver reflectors on each side of the scene to fill the shadow in the ribbon. If good lighting were always priority we would always use a light background. The grey underneath the box acted as a light source. If this is not an option we pass to a transparent surface this allows a white card to be used to reflect light though the transparent/glass material without the reflector appearing in the shot at a different family of angles. See pg 145. If however we also want to eliminate the reflection in the glass and want a dark background then as the reflection from the glass is polarised we can eliminate it. If we want a dark background we can use a glossy black surface. Black does not reflect however a black glossy surface reflects direct. We will still need the polariser in order to eliminate the glare. Photographing a smooth metal sphere. Requires direct reflection at all angles. It is impossible to not have the camera in view make sure you have no clutter around or use a tent. Keep light off the camera as much as possible it is impossible however not to see at all the camera. If there are any other items in the image then they can be placed strategically in order not to see the camera or you can retouch with photoshop. Metal does not produce polarised light so a polariser is ineffective. However the light can be polarised and therefore they remain polarised as they reflect from the metal. This is frequently the case if the metal is reflecting blue sky. In a studio the light reflected on the surface where the metal rests can be polarised and reflect polarised light there fore a polariser on the lens can control the brightness over the light. Black magic. Anything black can be reflected on the edge of the metal in order to differentiate it from the background. Reflected across the centre of an irregular shaped subject can add dimension. This works especially well with a diffusion sheet, by putting the gobo between the diffusion sheet and the subject makes a hard black reflection. Putting the gobo on the other side of the diffusion sheet makes a soft graduated reflection. Ocasionally you may decide to use an opaque reflector reflecting another light somewhere else in this case a gobo cannot produce softly graduated black magic however a soft edged stripe of black spray paint across the reflector will create the same effect. Like metal glass has almost no direct reflection however unlike metal it is almost always polarised. However when we light metal we are primarily concerned with the surfaces on the contrary when we light glass attention to the edges is required. If the edges look right then minor adjustments can usually take care of the rest, often ignoring altogether the front. 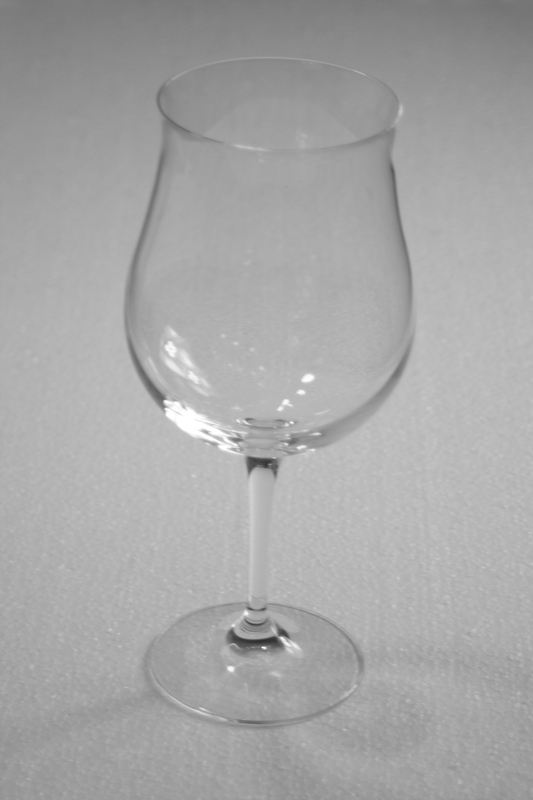 For most glass the light striking the visible edge of the glassware is not visible. Also any direct reflections do nothing but distract from the composition the solutions. Our aim is to produce strong lines along the edges and remove distracting reflections. Firstly in a glass only shot. We do not want any direct reflection from the glass. In order to do this the light must not come from the extremes of the family of angles so as to prevent light getting to the edges of the glass see pg. 161. We need a bright background and a light shining on it so as to illuminate this background evenly. Or shining a light through a translucent background or a light in front of the background for the opaque background however this cannot be visible in the shot a good position is , putting the light on a stand behind and below the glass is a good one. For this type of shot the background must fill exactly the field of view of the camera no more or no less. Position the camera so that this is the case. If it is too small obviously you will see it. If it is too large then it will cause it to go outside the family of angles and cause direct reflection if the background is too large i.e. a wall we can help this situation by lighting only the part we need. Move the glass so that we can get the desired distance from the background to achieve this. When moving the glass you will notice also that the closer the subject to the camera the more defined the edges this is caused as the further the subject is moved from the lit background the less light reflects of its edges, the closer it is to the background the more light falls on these edges. The background needs to be a lighter colour than the glass edges. If we want this we expose for mid grey we use the exposure the meter gives us. If we want a lighter grey or white background we increase the exposure by two stops. If we want a dark background then we expose as much as two stops less. Difficulties we may face. The composition may require us to keep the glass quite far from the background and this will reduce definition. The dark field method is where we illuminate the edges and leave everything else dark. In order to do this we must have light at the extremes of the family of angles and no light at any other point. In order to achieve this (see diagram Pg 167. ) Place a large light behind a diffusion material the light can be 10 to 25 times larger than the subject. Place a black card in front allowing the light to flow from the edges left right top and below to illuminate the extremes. Or place a light reflecting of a white card reflecting back and blocked by a black card. Place the camera in such a way as the viewfinder fits exactly the light. The nearer the camera can be to the subject the more defined the edges. It would be difficult to get the exact reading from the edge of the glass so first take a reading near the light source, then on the glass edge next to expose the glass near white open up by two stops. This would be a good exposure for perfect unpolarised light. In order to allow that this light is unlikely to be perfect unpolarised light we bracket but we have a starting point. If we want the brighter we can add additional light on the background. Other requirements when photographing glass could be. to define the surface of the glass. Defining the surface of glass.Using the dark field situation – Sometimes we also need to show the glass surface in order to do this we need large highlights. Defining glass requires a highlight in the right place and of the right size on the surface of the subject. This is not too difficult remember how direct reflection behaves. Passing through a diffusion sheet or two in order to create the correct angles see pg 173. If we use a large diffusion sheet and light all of it the reflections produce a larger highlight however in order to make it seem less like a studio shot we would prefer a dimmer light. Note black tape on the diffusion sheet can also be used to create the illusion of a window. Note this is the best way to photograph glass that has detail in the front of it. It is the first example where the glass is not lit from behind. Note also this technique produces a dark background regardless of the colour of the original background. In order to brighten a dark field background we simply add another light to the background. Minimizing the horizon. Using a glass table or a mirror greatly reduces the horizon. Additionally adding a mist of water to the table this camouflaging any potentially disturbing reflections. However both these options can still produce a horizon. To prevent camera flare use a gobo of black card to block light falling on camera. Photographing glass with other subjects. For example a liquid. Optical law dictates that a round object filled with liquid is a lens. Therefore liquid in a glass can show us thing that we do not want to see in an image. A background large enough to fill the field of view of the camera is not large enough to fill the field of view of the liquid. If we make a larger background we will loose the definition of the edges of the glass. 1 solution would be to move the camera closer to the glass and use a shorter lens. However this can increase perspective distortion. The solution is to put a secondary background for example a silver or white background just behind the glass however it must be the exact shape of the subject. It must be large enough to cover the liquid in the glass without extending fare beyond the edges of the glass. Some photographers like the foil to be a similar colour to the liquid such as gold for beer. Using a cutout behind the glass remove the camera and place a test light draw around the reflection of the glass and then cut out and place it with an invisible support for the card. The same light that produces direct reflecting on a glass bottle may also produce it on its paper label and make it less legible. The solution would be to bring the light up higher then the direct reflection from the paper goes downwards in stead of to the camera and the label becomes legible again. If you cannot move the light as the reflection is good for the bottle then use a gobo. The position and size of the gobo are critical if it extends beyond the family of angles defined by the label it will reflect in the glass. Portrait – an arsenal of lights. Good light is the most important thing in any portrait. Let start first with a single light called the main light or key light. There are several lights used in portrait photography and these can be transferred to other subjects. After this we will explain key lights. With one light you can do a portrait but only if it is used well. Shot one.First diagram we see the light placed in front of and to one side of the model. It is a satisfactory portrait however there are some unsatisfactory shadows on her face. Shot two: the same light positioned in the same way however in a soft box. This has removed the hard edged shadows and created softer ones which give depth to the features and create a much more pleasing image. This takes us back to the theory a small light source creates hard shadows and a large light source soft shadows. We keep coming back to the basic principles of light. It is the same as the sky and the sky with cloud. Ways of making a light source softer are increase its size, cover the bulb with a translucent material, hang a sheet of tracing paper or plastic diffusion between the light and the subject or bounce a light from an umbrella. Portrait photographers must take into consideration that no person wants to be sitting for a long time while they move around equipment. Most professional photographers use soft boxes and umbrellas quite that can be moved around easily. Furthermore for professional photography those lights are probably strobe even away from the studio. These flash in 1/250 to 1/1000 which is so quick you would not even have time to blink and they are also bright enough for the photographer to see what the light is doing but not to cause squinting. Using a small light will show shadow and detail in a face. A small light will hide some of this detail pores etc and will appear more flattering. Where to put the light. Generally we want shadow on one side of the face this is accomplished by keeping the light to one side of the face we also want to keep it high enough to add shadows to the eyebrows, nose and chin. Basically we should move the light around until we see a triangle from the eye down the cheek see pg.199. The books advise is stick to the rules now until you are a master and then you can break them. For example putting the light too near the camera will create unflattering light for example a strobe on top of a camera. Flat lighting means we lose the contours of the face. If we put the light too high we lose the eyes in shadow. If the light is too far to the side we will cast a shadow to the side of her nose and the triangle becomes too thin. Which side to put the light. Generally we put the light on the side of whichever eye appears to be dominant although this is not always the case both eyes can have equal importance. In the case of photographing someone with long hair. If we put the light on the same side as their part we can get shadows. All of the above examples have been with the subject facing the camera. However if they turn their head to the side then we put the light on the visible ear side. This also helps us eliminate glare on glasses. Eyeglasses sometimes dictate the position of the light regardless of where the photographer would like to put it. As we know glass reflects direct reflection if the lenses are small and our light source can be small enough to keep out of the family of angles that create direct reflection then as we know this is fine. We could raise the light to a height out of the direct reflection angles. However two things if we raise it too high we know we can create shadows under the models eyes. If the glasses have big lenses then the reflected family of angles is much greater. Still life photographers can be tempted at this point to use polarising filters however skin also reflects some direct reflection and so by using a polariser can give the skin a lifeless appearance. So now we know we can use one light to create a good portrait this is good news for who is not making a living from it and perhaps can use only the sun as a light source however most professional photographers will use more than one light for portraiture. Shadows are essential to a good portrait however at times we want to lighten some or to eliminate others. The advice given here is to use fill to your own taste not to follow the rules. You can either use secondary lights or flat reflective surfaces this is also up to you. An additional light can allow good flexibility and be kept far enough away to be out of the shot. Generally it is considered that the larger the light source the better as the light is softer and we can position it anywhere and it will not create problems. The soft edges produced by a large fill are even less visible and therefore will not interfere with the shadows from the main light. If we use a small fill light then we keep it near and slightly above the camera as this causes the shadows to be cast behind the subject where they cannot be seen by the camera. You can use a fill card and bounce light from the main light off it and onto the face of the person. Note often a reflector fill is good if we do a head and shoulders shot if it is a full body shot and we need to move further back it will not reflect enough light. Reflector fill. the closer to the subject the more effective it is. It reflects more light when at an angle between the subject and the main light reflected directly it reflects very little light. The reflectors surface can influence also for example a silver reflector reflects more light however with a large silver reflector the reflections can only be soft this is not the case with a white reflector. When shooting in colour you may want to use colour cards. For example with the sun the sun is the large light and the open sky is the fill. The blue reflections can add blue to the shadows a gold fill can warm these. Doing the opposite can make a studio look light daylight. Background light as in still life. illuminates the background and gives the subject a pleasant glow. It can help give a feeling of added depth to the image. Also you can use coloured gels to create colour on your background to limit the amount of different backgrounds you keep in a studio. For a head and shoulders portrait try putting the light on the floor and pointing up. However for a full body shot it is better to have two lights illuminating each side. NB for portraits that you intend later to paste into another scene try lighting the background lighter than pure white you can then place the subject into another scene using the darken tool this prevents the necessity to tediously silhouette the hair. Hair light, usually placed to the opposite side of the main light and behind the subject. Or you can hang it from a boom above and behind your subject. Avoid flare if it is reflecting in the lens directly either by moving the light or by using a gobo above the lens(black card). A kicker can we used to create a highlight wherever you like. This is purely a decision of the photographer based on taste. Rim light can include the kicker or the hair light. Placed directly behind the subject as with the background light however pointed at the subject can create a light which separates the subject from the background. Mood and key. Difficult to quantify. Can be a dark and sombre light for example. Exposure is also an influence in this. Low lighting key. Large prominent areas of dark are characteristic of low key lighting. Pictures made in this way tend to be sombre serious sober and dignified. high key lighting. Usually light and bright. They have many white and grey tones in them. Usually used for youthfull and happy shots. High key photos uses much less shadow and usually a light coloured background also allows us to eliminate the rim lighting or hair lighting as the light background separates the person directly already. High key also uses a great deal of front light. It is much easier to do this generally than low key. Example two lights to light the background bright. A large soft light above the camera bathed the model in soft light and put all shadows behind her. This helps to reduce contrast and hides any blemishes in the skin. Be careful however as you do not want to produce a flat image. Most photographers would rather not mix high key with low key lighting however if a full body portrait is required of a model wearing dark clothes than we must take this into consideration. Dark skin for example a dark skinned bride in a white dress. We want a flattering light however we also want the detail of the lace in her beautiful black dress. Therefore we need to capitalize on the direct light reflected from the face. The larger the light the greater the family of angles reflected using direct reflection. Be aware as a head is spherical a slightly larger light will make little difference to the family of angles. Available light portraiture. Out of the studio or unable to bring equipment to the location. Window as a main light – the light is soft and gives good contour and depth however with none of the harshness. Depending on the time of the day and the light direction it can also create hard shadows. If the light is direct through the window there will be harsh shadows. Outdoors sun behind the subject created rim or hair light. For further study. see pg 228/9 model in club. Leaving the shutter speed open 1/6 of a second allowed to capture ambient light. While using flashes which fired only for the briefest moment when the shutter had just opened (dragging the shutter). Gel on the fill light created a colour on one side of the model. There is an example of a young man on a bus and the ambient light which is reflected off the pavement back onto his face created a beautiful high key portrait. A few more ideas for portrait lighting. 1. One large light and one small light. 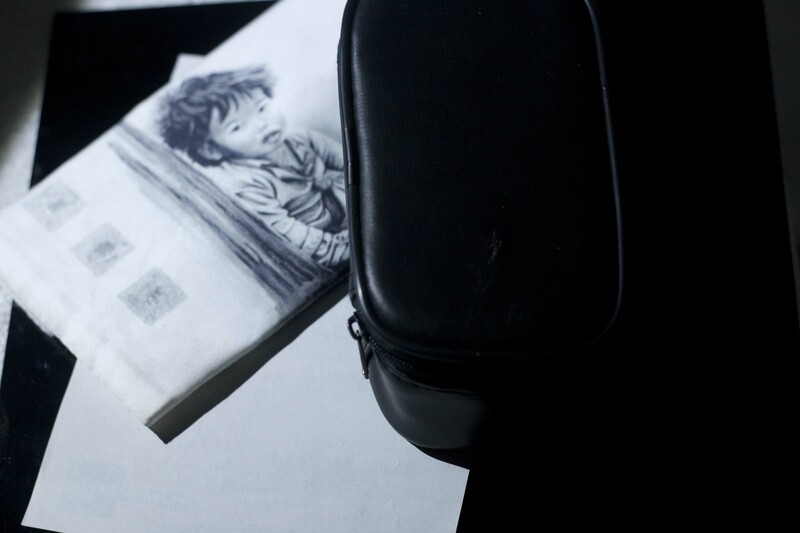 We have seen the advantages of a small light: crispy well defined shadow, good texture in subjects. Which reveal that texture is mostly diffuse reflection. We’ve also seen the advantage of a large light: shadows soft enough so they do not distract from the principal subject, the ability to reveal a large family of angles to reveal the surface of a glossy subject. What if we want both. 1. One is to place a small light very close to a big piece of diffusion material. There will be a hot spot in the centre which will serve as a hard light. There will also be light scattered to fill the whole scene that is our soft light. Move the light closer to the diffusion material to increase the hard light move it further apart to decrease the light. This can be difficult and requires practice to learn where to position the light and the diffusion material. 2. back up the light behind the diffusion material and put a second small light in front of it. It is more controllable as you can adjust the light power instead of moving the diffusion material and light. 3. Beauty dish. Works however not portable and expensive. Another trick combining portable flash with coloured gel. putting a coloured gel over your light. experiment. The extremes are the lightest and darkest groups of grey or colour in a picture. For years they were the parts of a picture most likely to lack quality because of inherent irremediable effects on film. Now they are a potential hazard in any image however with white on white or black on black little defects can become major. Today with digital technology some of these problems have been resolved and others have appeared. Next how to minimise loss of quality. If we underexpose the image can have more detail in the lighter parts. However if we try to correct the exposure later we can increase the overall lightness of the image but the details lost in the lightest parts of the image cannot be returned however the details in the darker part were enhanced. The part of the characteristic curve representing the shadow steps is called the toe of the curve. The toe of a real characteristic curve is likely to be only slightly straighter than the toe of the bad curve. The part of the characteristic curve representing the highlight steps is the shoulder of the curve. Between the toe and the curve is the straight line. The straight line of a real characteristic curve is longer than that of a bad digital sensor. Therefore the shoulder occurs at higher density ranges than the important highlights in some scenes. Highlight compression is less of a problem in a real sensor than a bad sensor. With film the flattening of the characteristic curve should reduced highlights but did not eliminate it entirely. Within very wide ranges the negative held at least some differentiation of the very light greys with extra work a print could be made that showed that differentiation albeit badly. The real sensor(digital) has another disadvantage that film did not. The curve simply ends at the top. Photographers tent to overexpose routinely both digital and film as it is easier compensate for highlight loss than lowlight loss. Photographers shooting digitally do so to keep out of the noisy lower ranges. Digital photographers however cannot overexpose as much because of the abrupt loss of detail at the top of the curve. White on White and Black on Black. The problem is not caused by the subjects themselves it is related to the very basics of the photographic medium, scenes get recorder on the very part of the curve that preserves the most detail. This means that no single technique or series of technique can always resolve this problem. Popular with editors/ advertising etc. Think type of a page and no necessity of where to crop. With film overexposure increases grain. Two factors affect grain sensitivity of the film to light and the density of the image. We usually chose a film with the lowest density which allows us an acceptable aperture and shutter speed and then we pay attention to the density. The denser the image the coarser the grain size. It makes little difference whether the density increase is caused by exposure or by development as the effect is the similar. Highlight area will have more grain than the shadow because of the density difference. The denser areas produce whites and light greys the grain is coarser in these areas but it is too light to see until we increase exposure when printing or dodge. Highlight compression is not as bad as shadow compression however the defect is compounded by increased grain. Photographers wished to get rid of the curve and this has happened in RAW. However then we realised that the image can look flat. It is better to see more contrast in the middle tones by sacrificing a bit of highlight and shadow detail to get it. The advantage of raw is we keep the detail until post production and then it is us who can decide which details are important and which are not. However each camera maker defines it differently and keeps it secret. So in 150 years there may not be the possibility to reprint or improve todays photos as we do with old negatives. Some feel that the best option may be Adobes Digital negative format. Its an open non secret standard. It preserves the advantages of raw but anyone with software savvy can read it and interpret it. Some camera makers have made their raw formats compatible with DNG but alas too few. Unfortunately white on white subjects are amongst the most difficult to photograph as it normally is recorded in the worst portion of the usable highlight. Grey steps that were distinctly different n the scene can become similar or identical grays in the photograph. It also deprives us of direct reflection. This is because the diffuse reflection in a white scene usually overpowers the direct reflection. So here is how to deal with it. Good lighting control produces tonal distinctions in white on white subjects. Good exposure control preserves those distinctions. Neither control alone is adequate to do the job so we need both. Exposing white on white scenes. The extremely high and extremely low ranges are those which are most likely to lose detail. Reducing the exposure puts it in the middle of the characteristic curve, the image may appear dark but we can fix it later. This helps us get more highlight detail. Note that the loss of shadow detail here is not such a problem as the shadow detail in white on white is pretty light. So normally a white on white exposure will ready 2+1/2 stops darker and we would expose accordingly but now we want to stay with the 18% grey reading so expose as your meter reads. We will get highlight compression later when we convert from raw to a standard file format however (a) the reduced exposure reserves more choice for later and (b) the digital sensor does not ahve a perfect linear response. It also has a characteristic curve with a shoulder albeit slight. Reduced exposure helps keep the hard to hold detail away from that shoulder. So expose as your camera reads without correction. Note however this is not always ok if there was an important black subject also in the image it would lack shadow detail and therefore you would carry out your exposure compensation for white on white. This will be up to you to decide. Note that by underexposing we can use the same aperture and shutter sped but with a slower ISO for example ISO 32 instead of 180. Lighting white on white scenes. Obviously by this we mean light grey on light grey with some white parts. In order for one part to appear white the other must be a slightly different shade of grey. So either the background or the edge of the subject must me lighter than the other. Psychologically we will accept more a white background with a slightly grey subject as white on white easier than a slightly grey background with a white subject. The background needs to be roughly between ½ or 1 stop brighter than the subject. Less than half a stop the subject may disappear more and flare could appear. The easiest of white on white subjects are those that allow us to separate the light on the background from the light on the subject. In those cases we can slightly increase the light on the background to keep it white. If you must place your subject on the background then whatever you do to one affects the other. This is also the most common arrangement so we will explain that first. Light from above. Lighting from above places the subject in slight shadow however fully illuminates the tabletop. In most cases this is efficient. Notice however that such a technique also fully illuminates the top of the subject. Therefore use a gobo in front of the subject. Placing a shadow just enough to bring down the brightness similar to the front. You can use any light size you like however we recommend a medium size light as it will work most effectively with the gobo in this step. Mirror background this is probably the easiest of white backgrounds. A mirror reflects almost nothing but direct reflection. These reflections are likely to be much brighter than a white subject. Use a light just large enough to create reflections on the entire mirror surface. (as with flat metal Ch6.) The light source must fill all the family of angles so it will be the largest light we would ever se for a flat subject. As such a large light makes shadows so soft we will not likely need any other lights. The light creates fill light under the subject however if the reflecting is distracting or confusing depending on the crop and shape of the subject you can mist the table to camouflage and break up that reflection. There will be a lack of shadow no way around this if you want shadow use another set up. We mentioned before direct reflection is usually overpowered by the diffuse light in white subjects however the exception is on the edge of the subject. However this is not helpful it would make the edges disappear into the white background. All of the lighting situations we have seen so far would enhance this. In order to avoid this lets use the technique we used in light. Keep the background as small as possible if we cannot cut the background then confine the light to exactly what fills the camera frame. This is also a good habit in order to avoid flare in other situations. With black on black it helps that we already understand white on white. There are similarities and differences and some techniques in the reverse. The major exposure difference to take into consideration is noise. Black on Black increase exposure by 2 ½ stops. Again this works only if no white subject in image. It does not always work it can create difficulties. We need depth shape and texture. As with white on white we need to move some of the exposure sure steps to the middle of the density scale. So as white on white has mainly diffused reflection black on black is mainly direct light available so we must capitalise on this. As with lighting metal to make it bright see CH 6 again. We must find the family of angles that fills the direct reflection and fill them with a light source. Again Black on Black would not be visible so either the subject or background needs to be black the other slightly lighter. As with white the brain accepts a black background with a slightly lighter subject both as black than a black subject with the background lighter. Paper is too opaque and does not reflect well. Black velvet makes the best of direct light. This can still cause problems black velvet still may not produce enough light. So glossy black is better. However this makes the background look grey how can we get away with this. The reflection of the subject also has a shadow and the pure black of this shadow convinces the brain that it is a black on black scene. If we are not happy with this next step black background. So suppose we place the subject far enough away from the background that light on the subject has no influence on the background then we can light it as we please and the background will remain black. So photographing a metal hand sculpture we placed it on a glass surface and used a polariser to remove the polarised direct reflection from the glass which does not affect metal as the light reflected off metal is not polarised. However glass will not work for other black materials whose light is not polarised . Lets talk histograms. In photoshop image adjustment levels brings us to our histogram. However no cameras histogram is as elegant as photoshop yet. Understanding histograms today is so important no photographer can afford to be without it. A histogram is made up of lines each line represents the 256 shades from the whitest white to the blackest black. If we are shooting colour then the histogram is a composite of three histograms red, green and blue. For now however lets just focus on black and white. we see gaps in the graph this is data loss which can be caused by manipulation/photoshop. They range from big and heavy and extremely powerful to the small and light and still powerful. Studio strobe – For example you need to shoot and entire board of directors around an enormous conference table. All in dark suits and surrounded by a dark panel you need a lot of light. Studio lights can provide enough watt-seconds per power supply usually 1200 to 4800 to meet such large scale demands however there is no denying they are cumbersum to work with on location. So when the location does not have enough power supply and you are bringing a generator also you may ask why did you become a photographer this is not fun. Portable Strobes. These are less powerful than their studio counterpart however much easier to carry around. Averaging from 100 – 1200 watt seconds. These are supported by shoulder straps and attach to the flash head by a power cord. The higher wattage types are placed on the ground and connected to a flash head on a stand. Lightweight hot shoe strobes. Lightweight and powerful. Enough light for many subjects. They can be attached to the flash head itself with a cord or on or off the camera. They can also be combined and fired simultaneously by both radio and infrared wireless. There is also a large range of diffusers and other such accessories available for them. Because of all of the above, these flashes have become the lights of choice for many of todays top flight shooters – Particularly those who spend much of their lives on the road. Getting the exposure right. In a studio we become used to the light exposure however outside of the studio light depends on the reflection of walls. The size of the room, height of ceilings. Todays hot strobes ready the light reflected from the subject and then turn off when they think they have seen enough light. 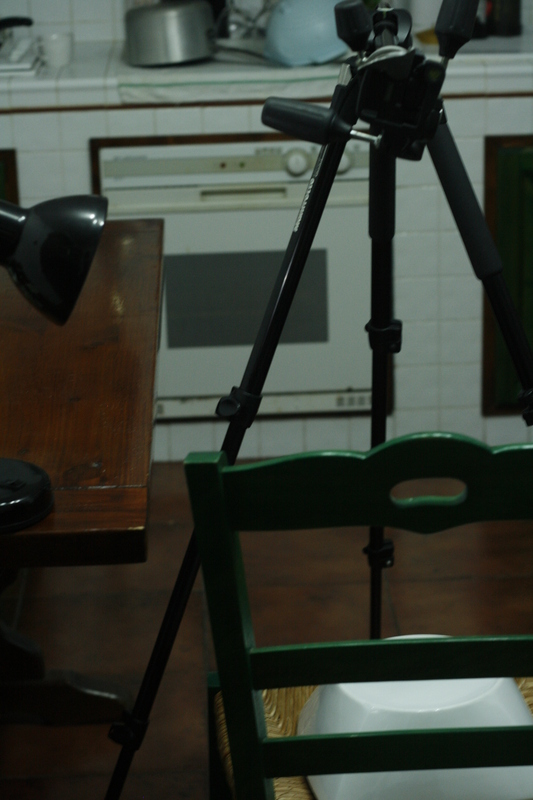 By using the corresponding hot shoe and camera they communicate well and take into consideration the room itself. However they have too many disadvantages to depend on them entirely. For more light when you are short. Some strobes have more efficient reflectors than others. Efficient reflectors can multiply the usable light. Multiple flash units can be the answer one as a min one as fill and one for background. It is worth taking the time to learn how to make a series of these strobes talk. Now how to obtain light that looks good. Two problems can arise at location lighting. Light that is too hard and illumination that is uneven. As we are using small strobes for portability hard lighting is an issue. Uneven lighting is as we need to illuminate a large area with few lights. The techniques we need to learn are bouncing and feathering. Both help reduce shadows and even out the light. Bouncing of a ceiling or wall which is much larger than the light means softer light. This will give us less light however compensation with exposure by 2-3 stops should allow for the light lost. If the ceiling is very high or the subject too close bounce will cause dark shadows in a persons eyes for example so many photographers use bounce cards. Feathering means that part of the light illuminates the foreground and another part lights the background. A word of warning feathering depends on how well the flash head is constructed. Larger beams tend to feather better than smaller ones. You must test yours to see if it works. See pg 294 Diagram . The stronger lights go towards your main subject hold it high. If your subject is against a wall and you hold it high the shadow will go behind the subject. Light coming in to a house through a window directly from the sun will be warm yellow etc. From the blue sky and not the sun it will be cool blue. If this same light is filtered and reflected through leaves it can be green. If the light is mixed evenly in that all subjects are illuminated equally then bounce the light of the ceiling. with mixed light adjust the camera in a compromise between the two and then adjust afterwards. For example if a room is lit by fluorescent light put a green gel on the flash so the whole scene is green and adjust accordingly on your camera or PS. Or with a window and tungsten light put an orange filter gel on the window to match the tungsten inside and adjust accordingly.